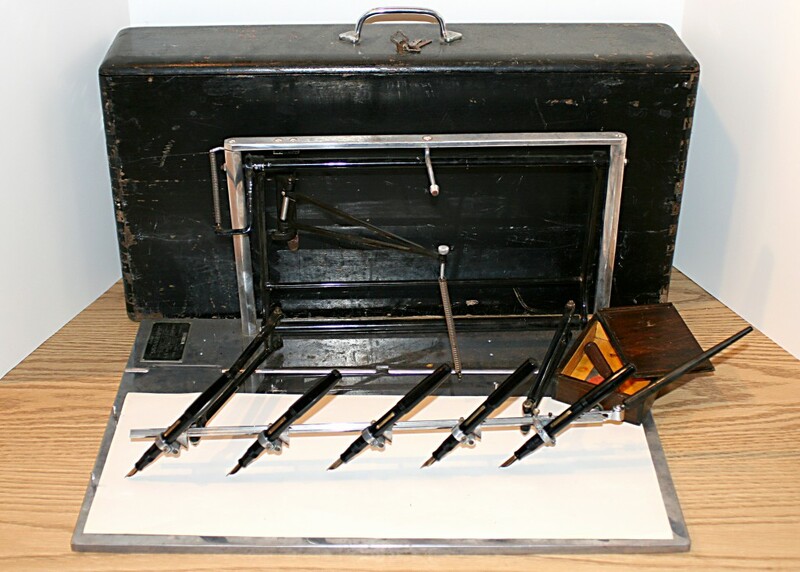 The Signagraph machine is a unique and intriguing item. It was meant as an early office labor saving device because it allowed a user to sign from five, ten, or twenty checks at a time. 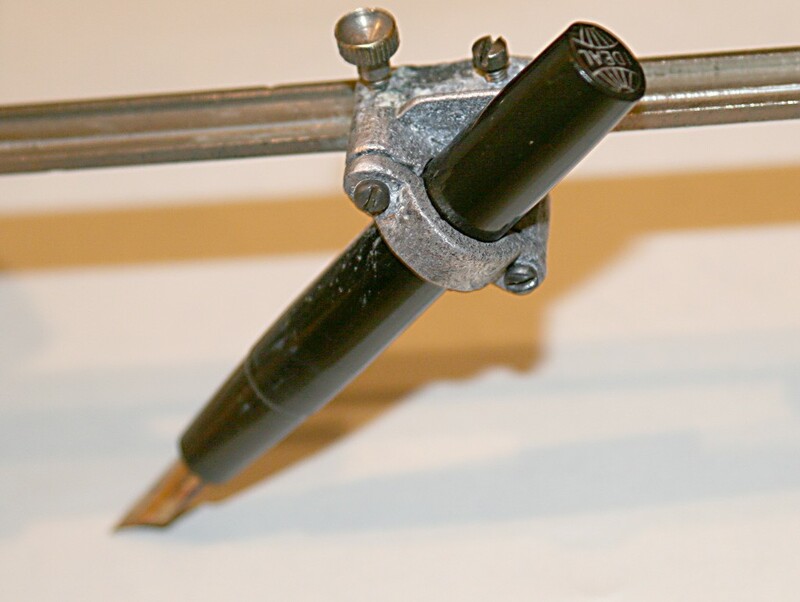 The machine follows the motion of the hand of the user and all the other pens write as one. 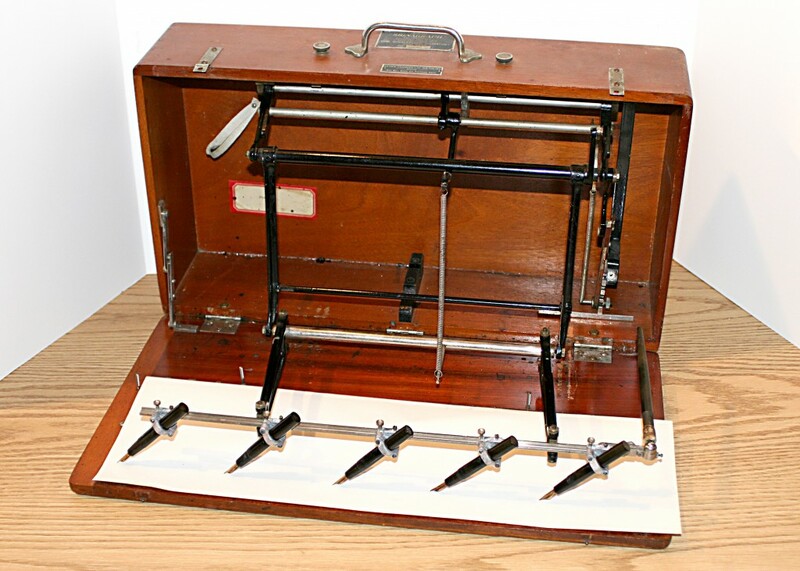 The Signagraph had eyedropper of lever-fill pens that were mounted into a wooden carrying case. There were some Signagraphs in which the pens were permanently mounted into the box, or they could be removed and stored separately in a lock box – for security reasons (a post on this coming soon). 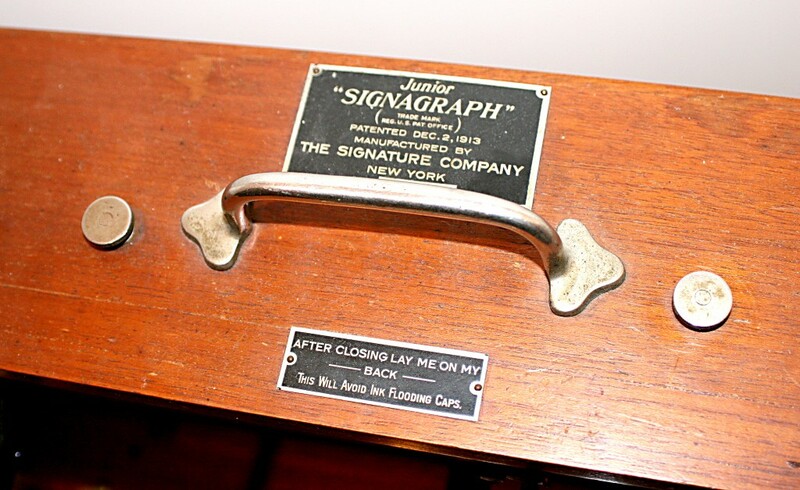 A Signagraph could be closed and carried. Despite the fact that the machines greatly aided in the labor of signing checks in many corporations, set up and calibration of each was still a time consuming affair. Each pen had to be filled, mounted so all the nibs would touch the paper at the exact same time, and wetting the nibs before use. There’s no shortage of effort in that. 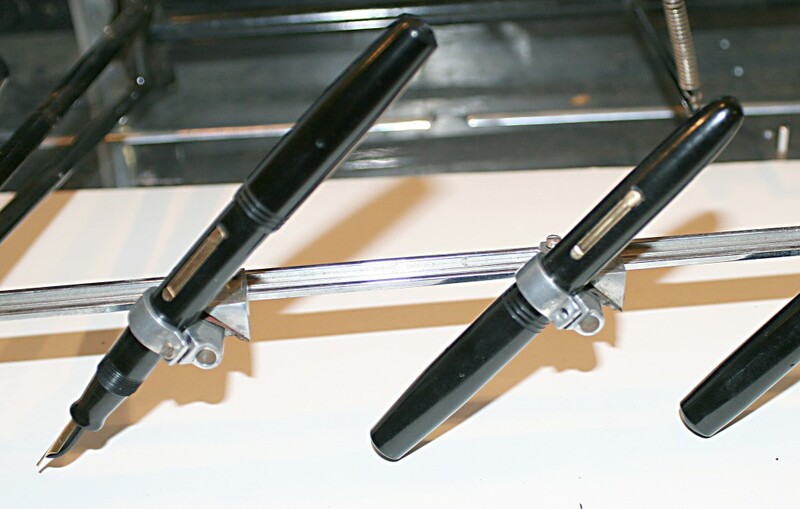 A close up of fountain pens mounted in a Signagraph. 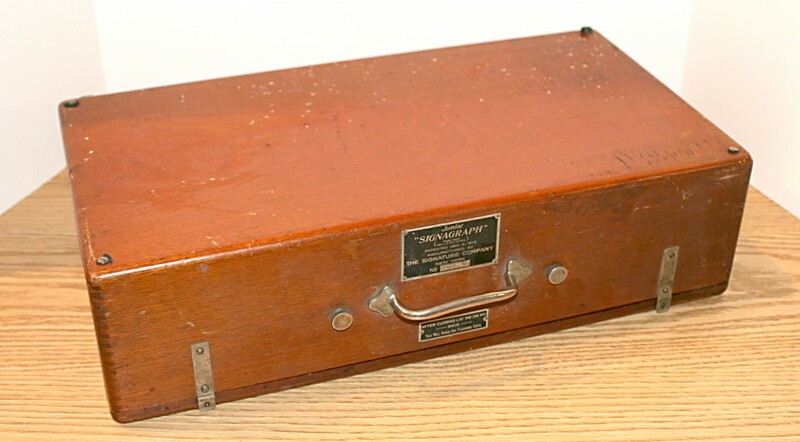 Directions for operating the Signagraph could be found on the top lid. Simple to use, in theory, but probably more difficult to set up! This is likely why there were few objections when automatic electric check signing machines were developed. 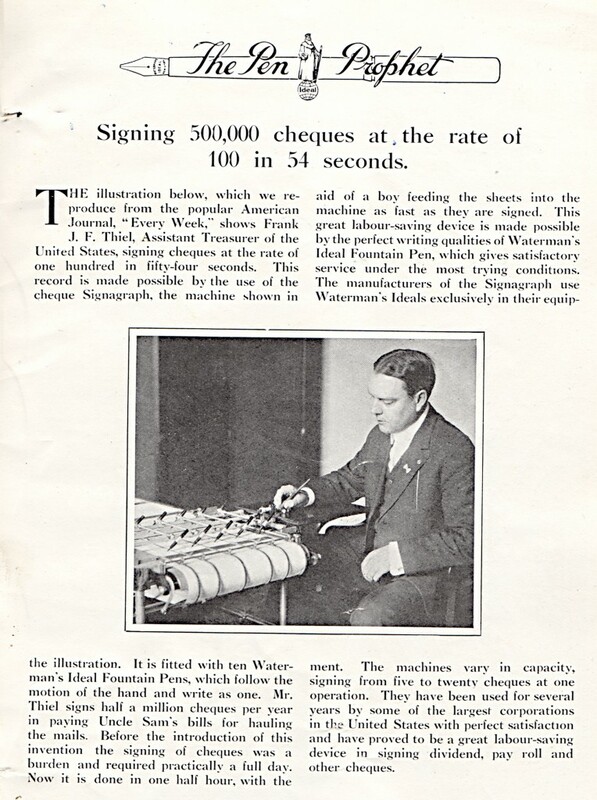 Frank J. F. Thiel was the Assistant Treasurer of the United States and signed checks at the rate of one hundred in 54 seconds, using a Signagraph and ten Waterman’s Ideal fountain pens. He would sign half a million checks per year to pay bills for hauling mail. A boy would feed the sheets into the machine as fast as they were signed. They were also used to sign pension checks at The Pension Bureau. 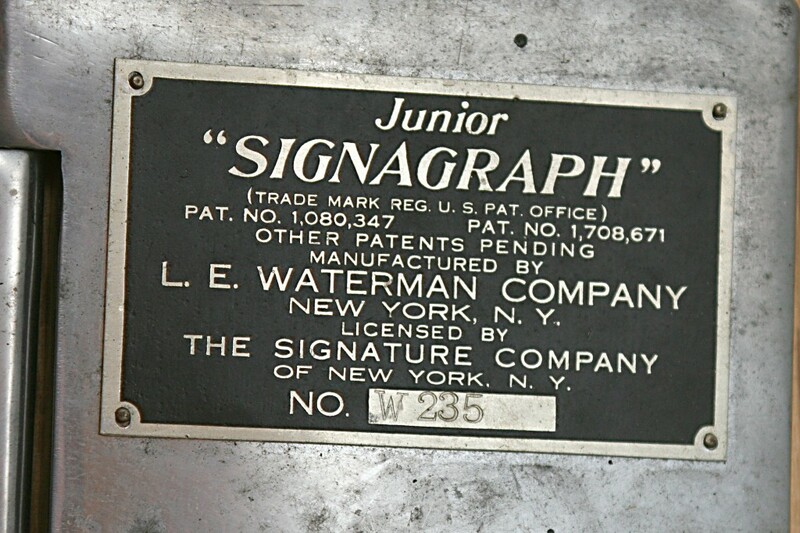 Although The Signagraph Company made some of the machines, others are marked as Manufactured by L. E. Waterman Company and Licensed by The Signagraph Company. Watch for a post coming on the rare lock boxes that accompanied some machines.